Celebrating 9 years in 2017! 2014 show makes front page! 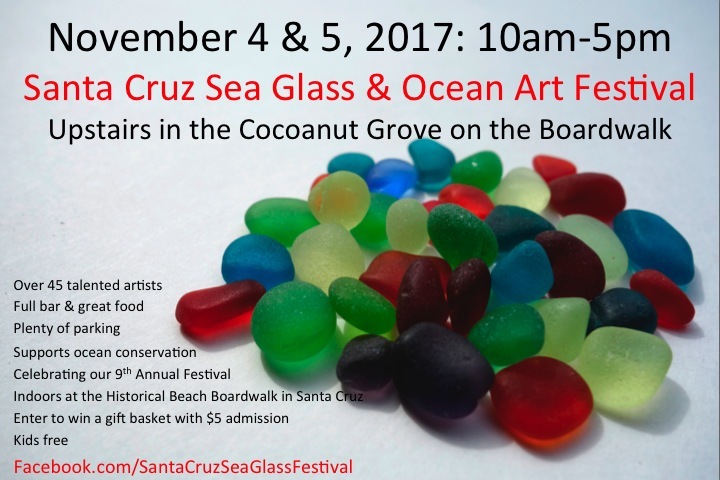 Saturday and Sunday FREE Raffle with GREAT prizes - FULL BAR, great food, over 40 unique artists, NEW collectors corner and ocean conservation exhibits! Kids under 6 FREE - plenty of parking across the street - indoors in the fabulous Cocoanut Grove on the Santa Cruz Beach Boardwalk! Dates: November 5 & 6th daily from 10-5pm. Admission $5 daily (CASH ONLY at door) - 10% donated to the Monterey Bay National Marine Sanctuary! This festival has raised thousands in donations to the Sanctuary - the Ocean Thanks you!